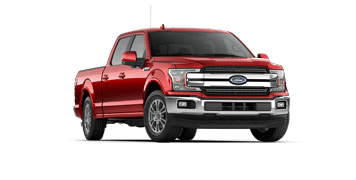 Find Your pre-Owned Ford F-150 Here! Start with the Best. The Ford F-150 is the leader in toughness from any angle. The Ford F-series is Canada’s best-selling truck for many years running. For 70 years, the Ford F-150 has been North America's most popular truck. It has been the truck to take you to work and the truck to take you to play. With its legendary towing capacity, this is the truck to get if you need to go farther. The Ford F-150 has won numerous accolades like MotorTrend’s Truck of the Year for many years running. It’s even a 14-time winner of the Truck of Texas award! Come to Merlin Ford Lincoln and check out our impressive selection of used Ford F-150 trucks. You can find us at 3750 Idylwyld Drive N. in Saskatoon, SK, or call us at 306-931-6611. We’ve got the largest new and used on-site inventory in Saskatoon. Every eligible Ford pre-owned vehicle must pass a rigorous inspection completed by factory trained technicians. The inspection covers the powertrain, chassis, amenities, and the overall condition of the vehicle before it can be officially certified. Every Ford Certified Pre-Owned vehicle comes with a 12-month/20,000 km Comprehensive Limited Warranty covering more than 1,000 components, including engine, transmission, and more! In January 1948, a new era began at the Ford Motor Company with the release of an all-new line of trucks that Ford dubbed the "F-Series." North America’s best-selling vehicle has only gotten better after seven decades! 70 years of working hard, 70 years of playing hard. The Ford F-150 will be there for you, no matter where your road takes you. This amazing truck has a rated towing capacity of anywhere from 2,268 kg (5,000 lbs) to 5,987 kg (13,200 lbs) depending on engine type. Whether you are depending on your truck to pull a trailer, a boat, or a fifth wheel, you can depend on your F-150’s legendary towing strength to get you there and back. Not everyone wants a brand-new model, so we’ve got you covered with an extensive certified pre-owned inventory that includes a fantastic line up of Ford models as well as used vehicles from other major manufacturers, too. Every vehicle is available to view online, and along with all the relevant details of each vehicle, you’ll also find a comprehensive album of images of that vehicle to help you make the right choice. Awesome staff in both the dealership AND the service department! Tom Geenen is your man for any new purchase! John Kennet is your man for any service! We have bought 3 vehicles through Tom now and have been very satisfied every time. All our maintenance is done here as well and we have always been treated wonderfully! I just bought an F-150 through Merlin Ford Lincoln. I had an amazing experience thanks to Brandon Awrey. He was knowledgeable, open for questions, and made himself available for test drives at my convenience. Most importantly he made sure I was completely satisfied with my purchase. I would highly recommend him to anyone looking to buy new or any certified pre-owned vehicle. I have had my vehicles serviced at Merlin Ford for the last 5 years. John has been my service advisor during that time and he has always went above and beyond what I asked of him. He is very knowledgeable and takes the time to explain what has happened and what the next steps are.